No recipes or no recommendation for the best fast food restaurant serving chicken nuggets. 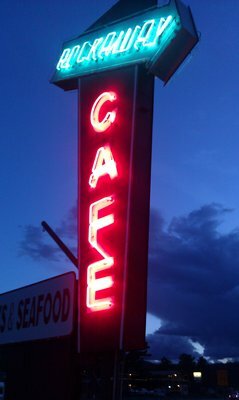 Although if you’re ever in South Fork, Colorado, I do highly recommend the chicken strips at Rockaway Cafe & Steakhouse. Rockaway is a small family owned business with a casual atmosphere. Reminiscent of eating in someone’s home. John handpicks the fresh chicken breasts and carefully breads with his secret recipe. You’ll love ‘em. We do. But back to the Miller Farm. Today our resident chicken wrangler is sharing some observations and a follow-up on last week’s acrobatic chicken. The follow-up first – Butterscotch, the acrobatic chicken, seems to have recovered nicely. I had intended to clean her hurt foot every morning but I have yet to be able to catch her. Since she is moving faster than I am, I would say she is doing pretty well. We have introduced new chickens into our flock on several occasions. Usually we have a group of birds that have gotten large enough to move outside but are still somewhat smaller than our mature hens, putting them on the bottom of the pecking order. One evening I noticed that there was some “discussion” about who got to roost on a particular perch. Little Grey Hen come running out of the coop then she ran back in. I heard all kinds of noise and saw that a smaller black bird was trying to roost on the end where Little Grey Hen usually sleeps. She would have none of that and before I (or the smaller hen) knew it, the black hen was on the ground and Little Grey Hen was back on her perch. My first thought was “They all rolled over and one fell out.” (from the song Ten in the Bed). We have an assortment of fowl (chickens and quail) in the brooder in the garage. They hatched over a period of two days. The last chicken to hatch seemed to have its shell stuck to its back side. We left it alone for a while, knowing that the struggle to get it off was making the bird stronger. At a certain point, however, we could stand it no longer, and I held the bird while Rachel carefully cut away the shell which was hanging on by a thread. We added the chicken sans the large chunk of hanging shell to the brooder where its feathers were able to dry and the last tiny bits of the shell came off. I thought about parenting – sometimes we have to help kids get completely out of their shell so they can begin their own life. The baby quail in the brooder nearly drove me nuts. They started sleeping on their sides with their feet stretched out making them look dead. I guess I opened the cage and woke them up enough times that they decided if they wanted to get any sleep at all, they’d better sleep on their feet like fowl are supposed to do. I’m definitely getting more sleep as well. Sara, the Chicken Wrangler, observed that a chicken’s process of hatching is like watching our children growing up. We need to help them out of their shells before they can begin their own life. Seems to me, that’s what writers do for their protagonists. We help them out of their shell. The literary term is character arc. YOUR TURN: Do you see your child or your main character’s growth as hatching out of a shell? ← Texas talk, colloquialisms, and weasel words – in my writing? I have a thing about caging birds that should be free ~ I bought a pair of mandarins back in the spring and luckily the breeder doesn’t pinion them but watching them fly short distances in my 30m2 aviary was torture so I listened to my conscience and let them free. To my delight they come home every day to feed and be with my non flying ducks on our pond. It is a joy to watch them fly free. What’s that quote about “If you love something, set it free”? I think that’s important for animals and children. Thanks for visiting with us on the porch. Come by again. My quail chicks sleep on their sides looking dead too and like you I kept disturbing them to see if they were still alive 🙂 I have a question though. One of my quail chicks stands strangely with its head tilted – any ideas??? Hey, Debbie. Thanks for stopping by. I’ve forwarded your question to Chicken Wrangler Sara also known as the Quail Mom. I’ll let you know her ideas. My idea on why Little Quail Chick stands with his head tilted-maybe he needs to balance. Humans have big heads. Do quails? Hope that helps you solve the issue of why your quail chick tilts his head.